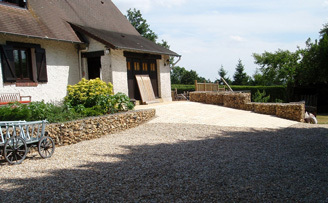 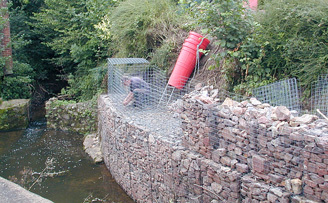 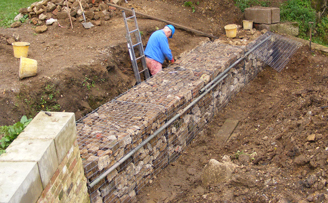 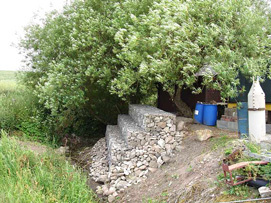 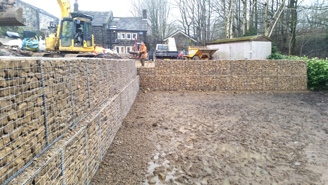 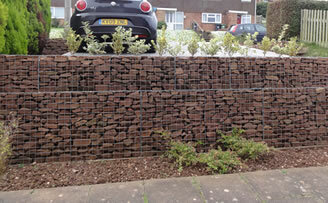 gabion Galfan 4mm 2m x 0.5m x 0.5m 3(in) x 3(in) (76.2mm x 76.2mm) x 4mm Galfan coated (95% Zinc 5% Aluminium for up to 4 times the life of a galvanised finish) welded mesh Gabion baskets wire as per EN 10218-2. 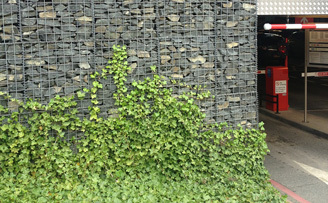 All mesh panels used to produce our baskets are European sourced and conform to EN10244-2 with a tensile range of 540-770N/mm2, steel grade 0.10% Carbon max, Weld sheer strength minimum 75 Can be used for gabion, retaining wall ideas. 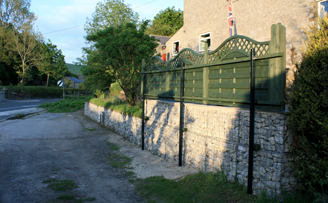 Pleased with construction, easy to assemble, and very prompt delivery. 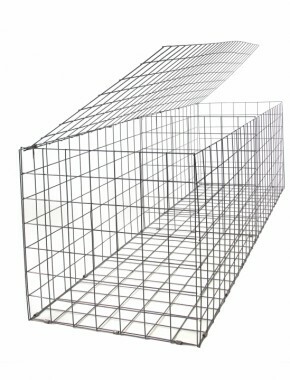 Currently installed as empty baskets, yet to fill them, but don't expect any problem..
Good quality product, easy to put together with lacing wire and 4mm galvernised looks the minimum profile for best look for garden.